The report was published following a spontaneous inspection that took place in November 2014. The ‘inadequate’ rating was not just applied to one area of care but the CQC said that the rating related to the emergency services and medical care ‘across the board’ at the hospital. The CQC’s investigators witnessed a number of worrying scenarios including failure by the hospital staff to respect the dignity of dying patients, and poor hygiene practices including failure by staff to adopt simple hand washing procedures. The report also expressed concerns that the risk of patient deterioration was not acted upon in a timely way because the early warning indicators of deterioration were not always identified by medical staff. The report went on to say that a high number of the serious incidents that were witnessed would have had a significant or life changing impact on the patient. The CQC has made a series of recommendations for improvements, whilst acknowledging that their inspectors visited the hospital on a particularly busy day and staff were extremely stressed. The CQC has downgraded the Hospital from ‘needs improvement’ to ‘inadequate’, something that the Hospital say is disappointing and frustrating particularly in view of the “unprecedented pressures it was under at the time of the inspection”. 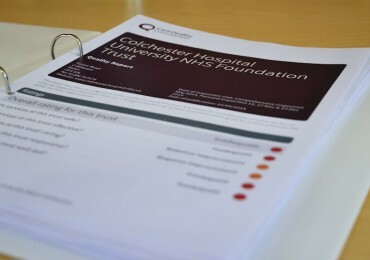 Whilst they have agreed that the examples of poor care that the CQC has identified in its report are unacceptable, Hospital bosses have described this most recent report as ‘unbalanced’.